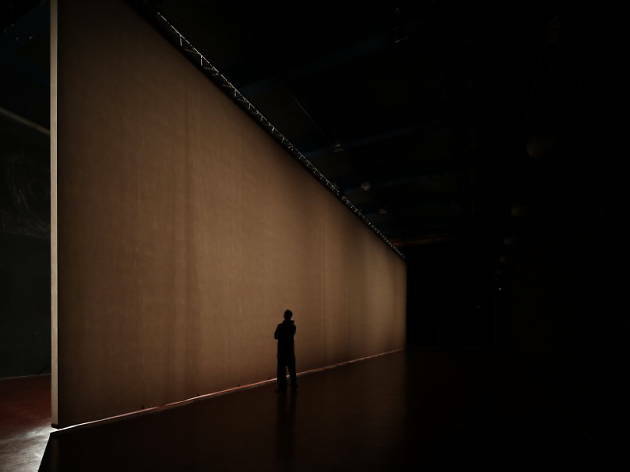 One of the most exciting contemporary sound artists around, Zimoun creates site-specific art using everyday objects like cardboard boxes, wires and bits of old furniture. 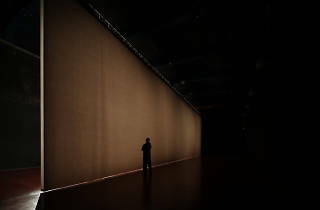 The end result often looks and sounds like something that belongs in a David Lynch film: creepy spidery sounds and whooshy static noises fill in the echoing-warehouse spaces and gaps. A one-off piece created especially for the Pogon Jedinstvo (you couldn't find a more succinctly industrial setting), '28 prepared dc motors, 168 m hemp cord, 279 m² paper' is an ambitious large-scale work made from exactly those ingredients, where the brilliant whiteness of the paper is contrasted with the black-walled exhibition space, and strange mechanicalized music vibrates inside 400 square metres of darkness.